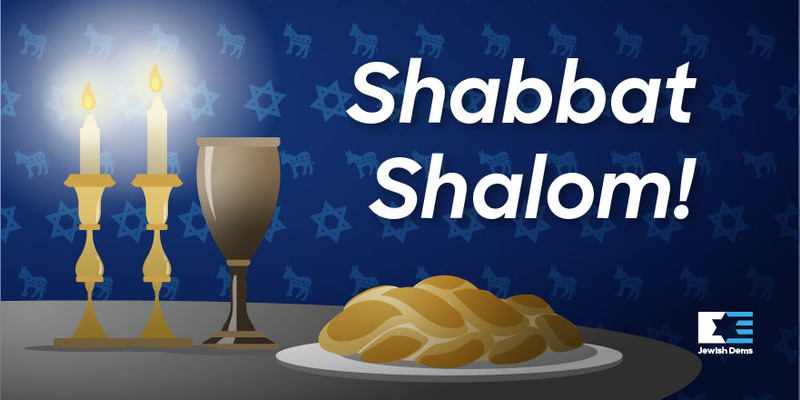 At a time when our country is in need of unity and leadership, President Trump delivered a State of the Union address characterized by mistruths, divisiveness, and pandering to the American Jewish community. We rejected Trump’s message and emphasized that his actions over the past two years speak louder than 82 minutes of carefully scripted words. While President Trump’s message was supposed to be one of unity, it was anything but. That said, President Trump does not define the state of our union, which we are confident is strong. As Speaker Pelosi said after the 35-day government shutdown, President Trump underestimated the unity of Democrats. We are unified in support of political change that will restore moral leadership and credibility to the White House, and our mission is more important now than ever before. We are also confident such change is possible in 2020 and beyond given the incredibly powerful impact of our efforts in 2018. Three examples from this week underscored this point and give us hope for the future. The first is the unprecedented number of women in Congress ready to implement change consistent with our values, as symbolized by the sea of white at the State of the Union in support of women’s rights. The second was the House hearing held on gun violence – the first congressional hearing on gun violence in eight years – demonstrating that Congress is finally ready to address this critical issue that has plagued our communities and schools. 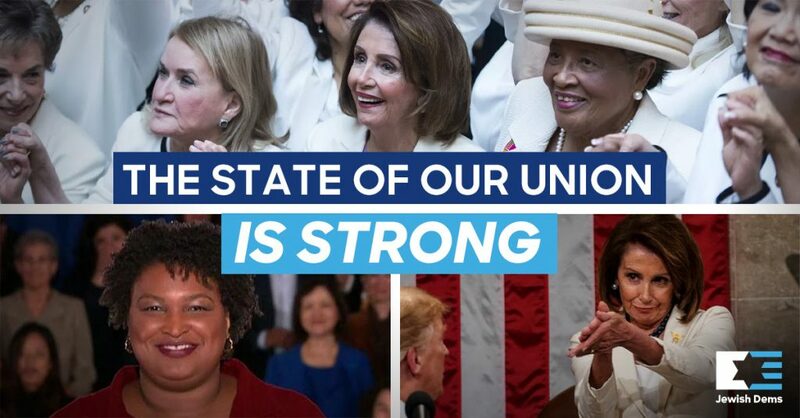 Finally, we were particularly moved by Stacey Abram’s powerful response to the State of the Union, in which she stated that “…with a renewed commitment to social and economic justice, we will create a stronger America, together.” We agree and believe that the state of our union is strong. • Unequivocally denounce white nationalism. • Disassociate his actions and rhetoric from the “nationalist” movement. • Work with Congress to pass legislation to prevent and combat anti-Semitism. • Commit to discourse that recognizes and affirms the humanity of minorities, political opponents, the press, persons with disabilities, and immigrants. Our country needs unity, but President Trump delivered divisiveness. Our country needs care, but President Trump delivered callousness. President Trump continues to insist on an ineffective and unnecessary border wall when what we really need is a pragmatic and effective approach to border security and humane immigration reform. The State of the Union clearly demonstrated that President Trump’s agenda is out of step with American and Jewish values. It is clear from Tuesday’s fact-challenged speech that despite his shameful pandering to the Jewish community, the president does not share our values or priorities on civil rights, the economy, foreign policy, or combating anti-Semitism. But we do agree with President Trump on this: no one deserves more credit than him for increasing the employment of women Democrats in Congress! JDCA is expanding our team and operations, and we are seeking your ongoing support. We plan to accomplish great things in 2019 and beyond, and look forward to working with you to further our values. JDCA is also looking for a Communications Director. If you are interested in applying, or if you know anyone who might be interested, please check out our job posting here.